On 4 June 2017, Togolese President Faure Essozimna Gnassingbé was elected to head the Economic Community of West African States (ECOWAS) for a one-year term. He replaces Liberian President Ellen Johnson Sirleaf and hopes to advance regional integration by improving the region’s free movement of goods and people. “One of the fundamental rights of our organisation is the free movement of goods and people. This is a first step. We know what the reality and the complaints of the people are. We want to ensure that the practices are in full compliance with the texts,” said the Togolese president during a visit to a border crossing between Ghana and Togo on 8 June. 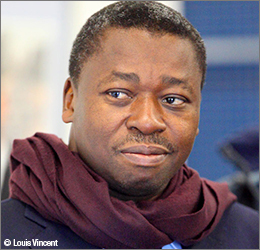 Even though Faure Gnassingbé is one of the youngest presidents of the region, he is already serving his third presidential term. Installed in power after the death of his father, Eyadema Gnassingbé, in 2005, he was elected on 24 April 2005 after a controversial election. He was re-elected in 2010 and in 2015, when he won with 59% of the vote against the main opposition leader, Jean-Pierre Fabre. As in 2010, the densely populated and mostly urban south voted for the opposition, while the rest of the country remained loyal to the current president. At the national level, President Gnassingbé is working, in particular, on national reconciliation and a calming of the political climate. Faure Gnassingbé began his political career in 1999 as the deputy of the first district of the Blitta prefecture in central Togo. He then chaired the Committee on External Relations and Co-operation of the National Assembly. His father appointed him Minister of Equipment, Mines, Posts and Telecommunications in 2003. Faure Gnassingbé was born in 1966 in south-eastern Togo, but did most of his studies in France and the United States. After graduating from the Lycée Militaire de Saint-Cyr in France, he graduated from the Paris-Dauphine University with a master’s degree in management. He received a master of business administration (MBA) degree from George Washington University in 1997.